Someone told me about a place called Comfort Park but I don't know how to find it. Can you help? Thanks for the question. Here is some information. 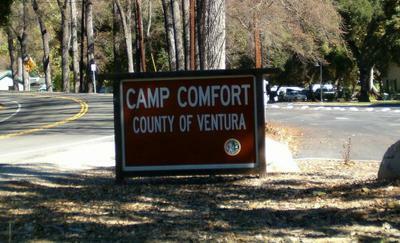 If you'd like to know more go to the navigation bar to the left, click on Ojai Info then scroll down to Ojai Camping. We are from Ojai. Sometimes we just go there for the day. The kids love the playground and we love the horseshoe pit. Bathrooms are clean too.